Suspended between heartbreak and hilarity, readers are sure to find emotional common ground in this story of an engaging elderly widow who sets her sights on revenge after the devastating loss of her husband and grandson, but unexpectedly finds hope, healing, and the possibility of a happy future. When Harold and Louisa’s grandson, Cody, is killed by a drunk driver, the man responsible, Larry, blames the accident on a deer. The court buys his story, and he isn’t held accountable. Harold decides to seek justice on Cody’s behalf, but, thanks to the local sheriff, Gus, his every effort is obstructed. 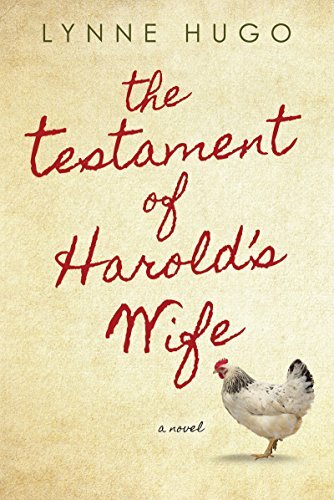 Harold’s grief grows bigger than he can manage, and he leaves Louisa to face another tragedy, his own untimely demise. Despite these losses, Louisa, a lively, funny, yet determined woman, spends a good deal of time chatting with her gaggle of chickens, “the girls,” as she calls them, named after the March sisters in Little Women. Alongside her “girls” is a cantankerous cat, Marvelle, who routinely receives splashes of bourbon in her milk like Louisa takes in her tea. When she decides to resume Harold’s efforts for revenge against the drunk driver, Louisa eventually concocts what she calls The Plan. She schemes and plots, justifying the idea to her sister, CarolSue, the “girls,” the cat, and herself. Meanwhile, Gary, her son, struggles with his own guilt and sadness over Cody’s death. He tends to show up on her doorstep unannounced, and she waffles between compassion as his mother, and aggravation for his newly found religion and the ugly, terrible art he creates—like the Glitter Jesus he gave her that she’s constantly hiding. “Where is Jesus?” he said, his whole self in agitation. I was going to get smart with him about how being a reverend, he should know, but I decided to be kind, and give him a straight answer. Gary makes Louisa nervous. She’s certain he’s of the mind she’s going crazy, all because she allows “the girls” to roost in the house and feeds them grapes along with the details of her Plan. But Louisa is not crazy. She’s heartbroken, and she expects to make Larry pay. Through a series of encounters, both timely and untimely, readers learn just what this Plan is, how Louisa plans to execute it, and will root for her to either come to her senses—or to somehow win against Larry who’s taken so much. After all Louisa has been through, such a comeuppance may well be deserved. Lynne Hugo’s character building is superb. Louisa is appealing with her conversational voice, speaking directly to readers as if she’s popped in for a visit. Other key characters standout just as distinct and sharply drawn through chapters written from their point of view, and they provide clarity to the story. The plot is propelled forward at a good pace, and readers will be compelled to turn the pages as Louisa speaks with candor, wisdom and keen insight about her thoughts on life, The Plan, and her relationships with those around her. Hugo’s writing is striking, her descriptions rich, beautiful and elegant in many places. A winning and wonderful novel, with a unique and distinctive storyline, there is a little bit of magic for everyone within the pages of this book. USA Today bestselling author Donna Everhart's most recent novel is The Road to Bittersweet (Kensington, December 2017). Her previous novel, The Education of Dixie Dupree, was longlisted for the Southern Book Prize, and was an Indie Next Pick and an Amazon Best Book/Debut Spotlight. Her latest novel is The Forgiving Kind (Kensington, 2019).